As part of the settlement, Philadelphia agrees to set up a $200,000 program for young entrepreneurs. Rashon Nelson & Donte Robinson each will only get a symbolic $1. 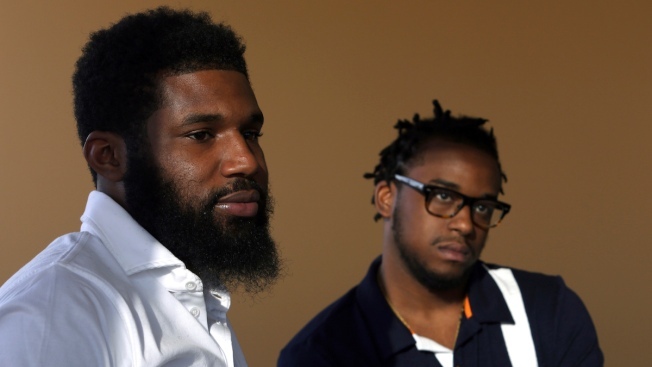 The two black men arrested at a Philadelphia Starbucks settled with the company for $1 each and a promise of $200,000 to set up a non-profit youth entrepreneurship program. "We thought long and hard about it and we feel like this is the best way to see that change that we want to see," said Donte Robinson, one of those arrested. "It's not a right-now thing that's good for right now, but I feel like we will see the true change over time." The men also reached an undisclosed and confidential financial settlement with Starbucks earlier this week, the company announced in a news release. The arrest of Rashon Nelson and Donte Robinson on April 12 touched off a furor around the U.S. over racial profiling. They were led away in handcuffs and accused of trespassing after the manager called police, saying the men refused to buy anything or leave. After spending hours in jail, they were released and no charges were filed. Their arrest record will be expunged as part of the deal. Kenney said the men approached city about establishing the the entrepreneur program for Philadelphia public high school students.